David Oliver has extensive senior executive experience in the investment and wealth management industry. 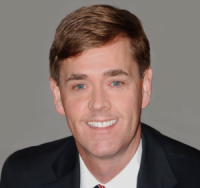 He is currently President of Oliver Advisory, an independent consulting firm, and recently served as National Lead and Vice President at MD Financial Management, heading MD Private Investment Counsel and MD Management. Prior to joining MD Financial Management, Mr. Oliver was Chief Portfolio Manager, Vice President and Executive Director at CIBC, as well as Vice President and Portfolio Manager at TD Bank. Mr. Oliver started his career as an economist at the Ontario Ministry of Finance. David Oliver currently serves on the Board of Directors of North York Arts, chairing the Governance and Nominating Committee, and sitting as a member on the Audit and Finance Committee. Previously, Mr. Oliver served as a member of the Canadian Medical Association Pension Plan Investment Committee, as well as the Investment Dealers Association Regulation 1300 Review Committee. David Oliver graduated from the University of Toronto with a Bachelor of Commerce, and a Master of Arts in Economics. Mr. Oliver holds the Chartered Director, Chartered Financial Analyst, Chartered Investment Manager, and Fellow of the Canadian Securities Institute designations.